Membership Billing can be used by membership club facilities but is not designed for hotel direct billing. If your property has lodging facilities for non-members plus club privileges for members, you should set up your hotel direct billing in the same company as Execu/Suite PMS and set up membership billing in another company within the software. See Your Company Setup. Before beginning, you need to configure the settings. See Membership Billing Setup. The procedures are fast and easy. 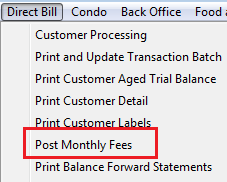 On your Direct Bill menu you will have "Create Fixed Charges", "Post Monthly Fees" or something similar. At the prompt, enter the "as of" date, as shown below. This is the posting date. You can select a particular customer or range of customers by entering a beginning and ending customer code. To run the program for all applicable customers just press Enter through those two fields. If everything looks accurate on the screen, press Enter at the OK? prompt. The program will post the fixed charges for all customers with valid codes in the "auto charge codes" field in the customer setup. 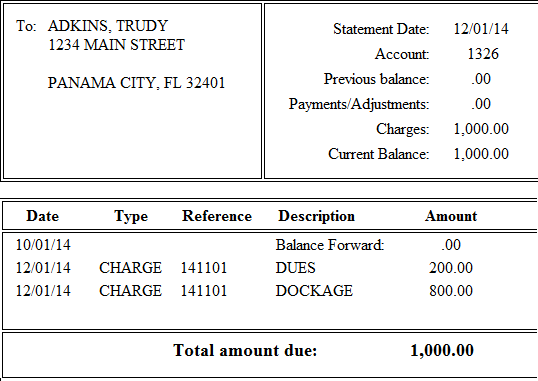 Below is a sample batch showing fixed charges that were posted. Remember to update your transaction batch. 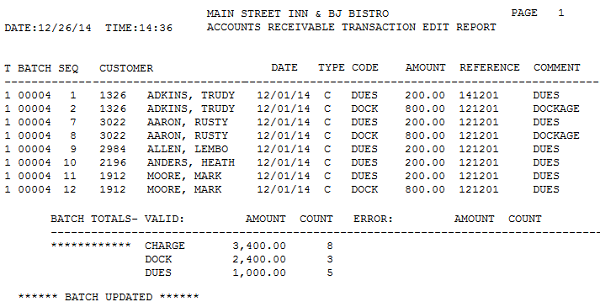 Below is a sample updated transaction batch printout. 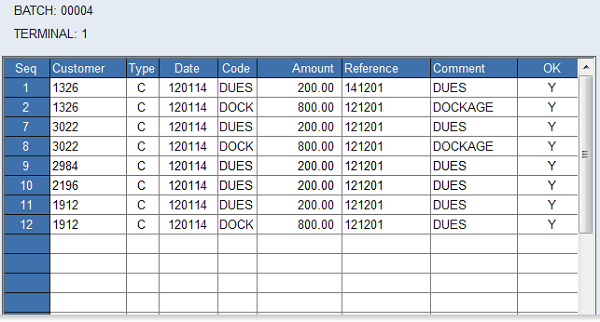 Below is a sample customer detail screen showing the automatic fixed charges. Below is a sample customer balance forward statement showing fixed charges.